On the road, and wondering where you might be able to park your rig for the night without paying? After all, with such a large vehicle you simply can’t park just anywhere. We decided to research and map all of the places where it’s ok to park an RV for the night for free. Of course, there are caveats. Don’t expect to just pull into any church, school or Walmart store and be done with it. 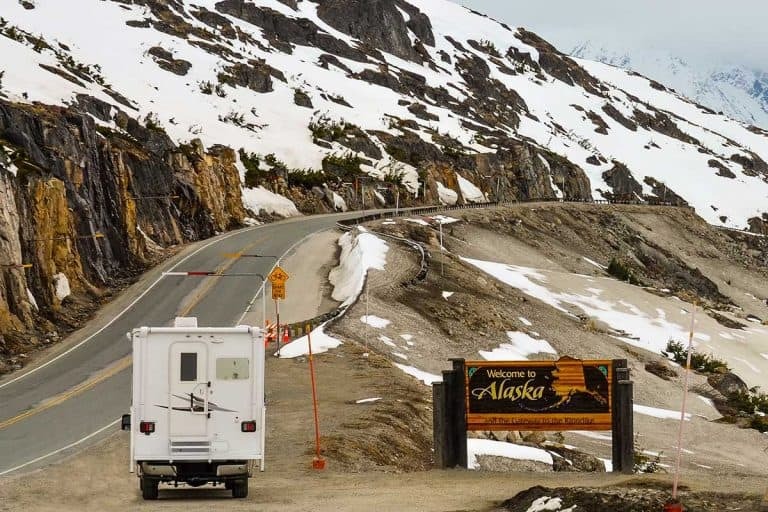 Do keep reading to understand the concept of RV overnight parking – and where you can actually stay the night with your rig for free – and how. If you’re new to RV’ing, you may think you can just park your RV on the street. 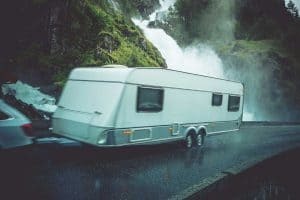 Unless yours is a small and inconspicuous Class B motorhome, trying to park along the curb on a residential street in the US or Canada uninvited could easily end up with a call from the local police at 2 AM. 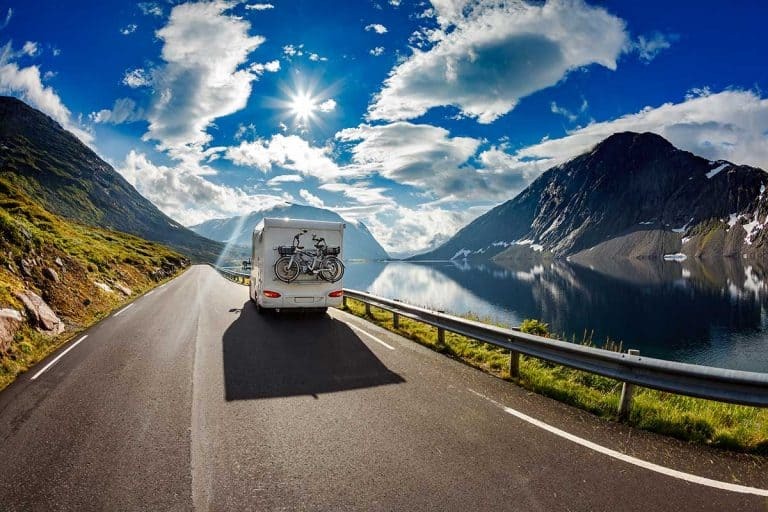 You can read more about this in our post: Where can you park an RV for a few hours? Yes, with a big rig, even parking for a few hours during the day on a residential street can be an issue. Let alone overnight parking. But not all is lost! There are places where you may be able to park overnight. Even with a large rig. Let’s dive right into the list. 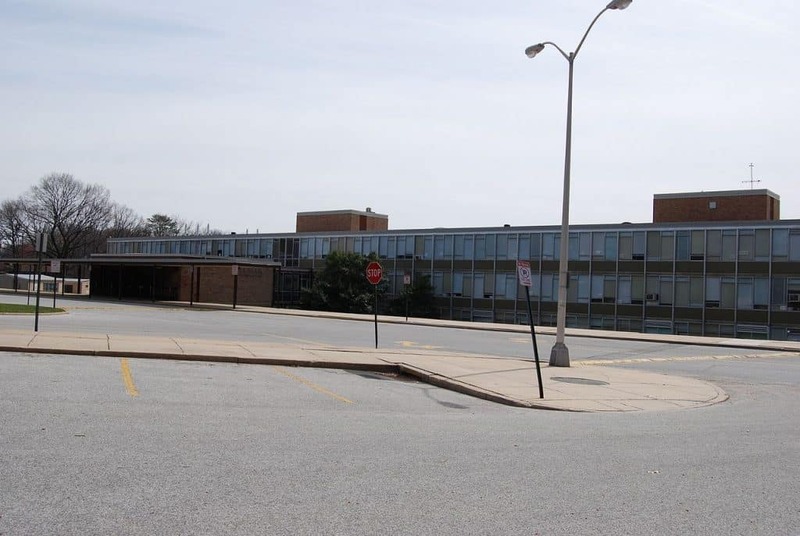 Schools often offer spacious parking areas for the community to use. On weekends, these are often empty and you may be able to stop overnight there. The key here is to stay out of people’s way, so don’t even think about being there after 6:30 AM on a school day. The first thing that you have to do is ask for permission. And with schools, that means identifying the opportunity ahead of time, and emailing them – or making a phone call – during work hours. Introduce yourself and inquire about specific times when you believe the school to be empty. Let them know you’ll be out of there long before school hours – and stick to your word. Provide a mobile phone number and an email address, be courteous and explain about your trip and why you’re driving through their town. If you’re traveling with kids, that may be worth mentioning too. 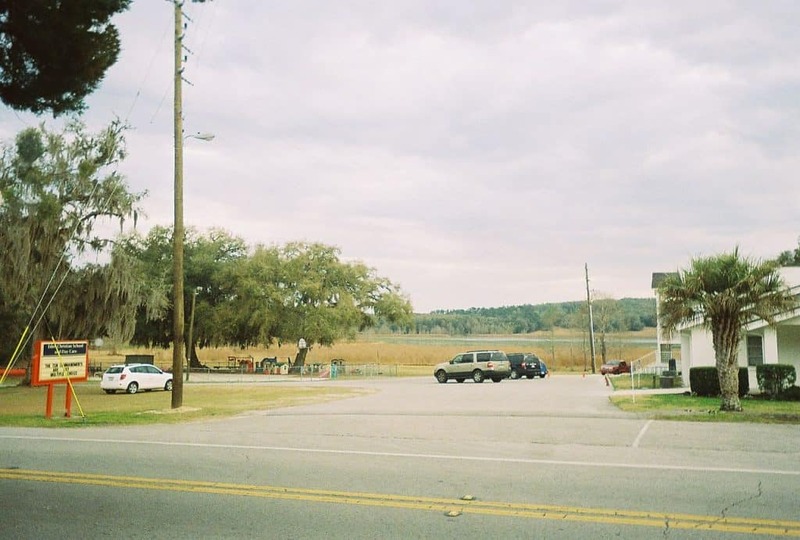 Just like schools, churches often have large parking areas for their visitors. While schools are busy during the week, churches tend to get their parking space filled up on Sundays. If you happen to be looking for a church service and there’s no shortage of parking spots, you can park and ask for permission to stay the night. This could be the night before the service or following it. You can certainly ask for permission to park for the night even if you’re not attending a service. Again, just make sure to be out of their way during their busy hours – and let them know as much. 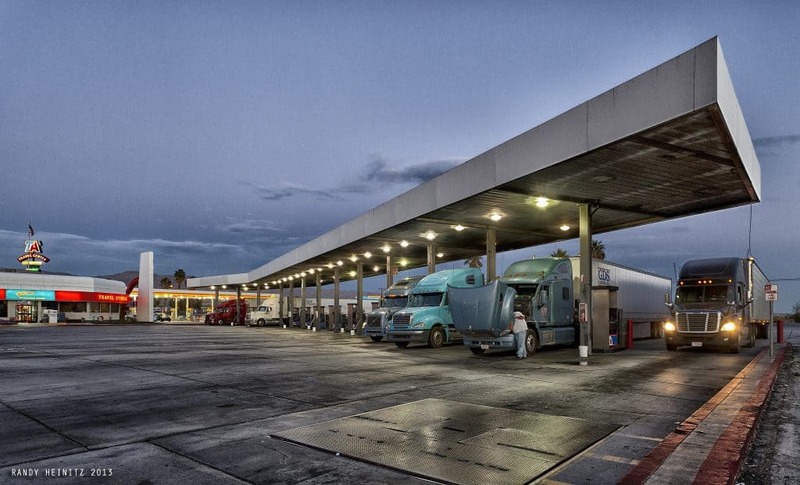 Traveling across the highways of America, you’ll see many designated truck stops, some of them belonging to chains such as Love’s and Pilot Flying J’s. These travel plazas provide gas, truck repair services, food, bathrooms, and even paid showers. As the name suggests, they were created for big truck drivers, but many have designated parking spots for RV’s as well. These are not always free. Sometimes they are though. It’s worth checking in advance and you can do that either by Googling the specific location, calling them or using an app like AllStays which lists RV parking sites. Make sure you only park where you’re allowed to. Don’t take the spots reserved for actual big trucks. Not only do these noisy beasts make bad neighbors for RV’s – simply by running their diesel engines all night long – but it’s also not right to take up a truck driver’s much-needed spot. In some states – but not all – it may be legal to pull over for the night at a rest area. Check ahead of time and be prepared to share the space with professional truck drivers. And as before, if the place is crowded, please don’t take the spot of a real commercial trailer or semi. You can usually find a nearby campground and pay to stay there. They can’t. 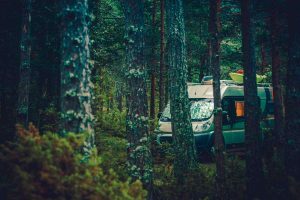 If you need something fixed in your RV, why not make an overnight stay out of it? Many shops will be more than happy to have you as an early- morning or late afternoon-customer and in return allow you to spend the night before or after the fixing there. In some cases, when they have to wait for a spare part, you may be able to park your rig in that place until they’re ready to apply the fix. You can unhitch a trailer or a toad (smaller towed vehicle behind a motorhome) and explore the region while your RV is parked at the shop. 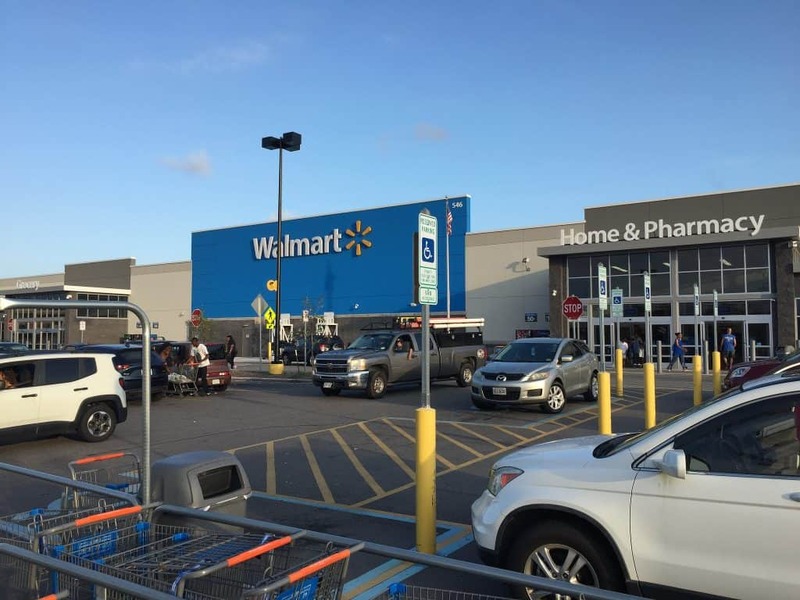 Some Walmart locations allow free RV overnight parking. Not all of them though. You should call ahead and ask for permission from the relevant manager. Checking AllStays for reviews by other RV’ers is also a good idea. Quite a number of casinos in the US and Canada allow RVers to stay overnight in their parking lots. There are parking lots next to some casino hotels in Las Vegas that look like RV campgrounds in their own right. Without hook-ups and on asphalt, but on weekends and holiday they can get as crowded as any State Park’s campground. It’s easy to see why casinos allow for free RV parking on the premises. It’s the same logic that makes fancy hotel rooms in Vegas so affordable. They’re counting on making more money off you once you set foot inside the casino. Some casinos may require you to be a paying customer, or just register as you arrive. As always, ask. First, by calling ahead of time or looking up their website. And then, once again on arrival. Whether you are traveling alone, with your family or a bunch of friends you will need a place to either park or camp. To those who are new in RVing these two terms might sound all the same. The truth is, the two terms are different from one another and are not always interchangable. 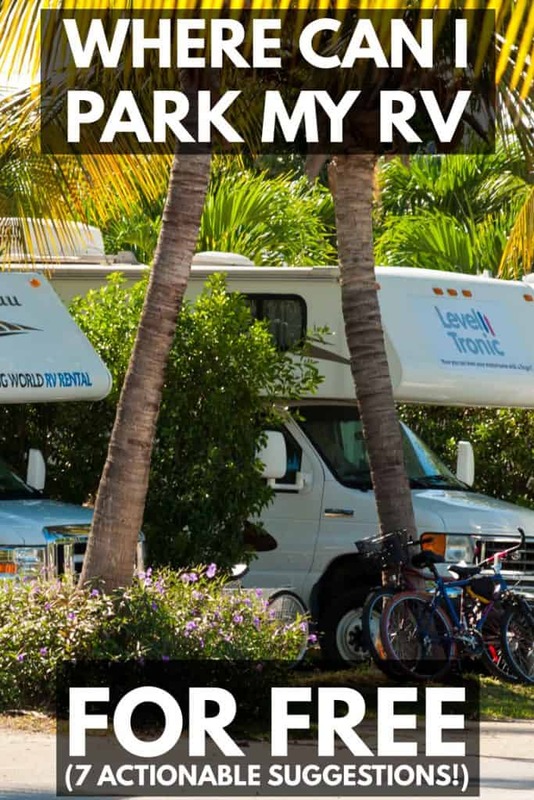 RV parking simply means finding a place to keep your RV overnight – with you in it. 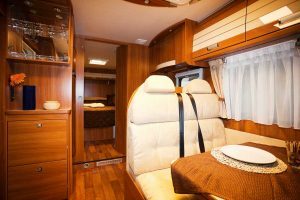 On the other hand, RV camping usually refers to spending time visiting the area for recreational purposes. Parking is usually done for a single night. You keep your slideouts and awning tucked in and generally try to be as unobtrusive as possible. Camping, on the other hand, is often a multi-day experience. That’s when you pull out the slideouts and awning, place your welcome mat out, maybe take out a few chairs and a table and BBQ next to the RV. 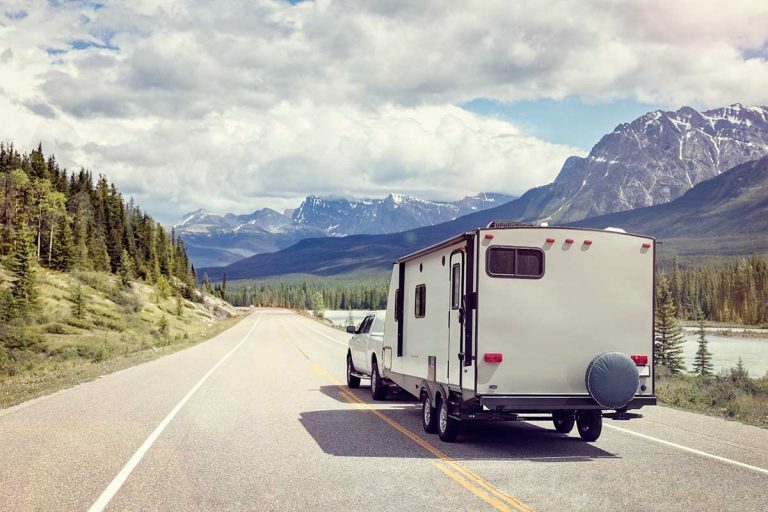 If we’re talking about a 5th wheel or travel trailer, when camping you’ll usually unhitch your tow vehicle. In short, you make yourself at home. We’ve mentioned these throughout the post but here’s a quick recap. You’re asking people to help you out, so it makes sense to be nice about it. The nicer, the better. Keep in mind that whoever is on the other end of the line is probably busy, so keep it short, but also sweet. Where relevant, mention that you plan on using their actual service as well – if they have one. Tell them you’re coming to shop at the Walmart, play the casino or attend a church service. Clearly, only if this is actually what you’re about to do. Places tend to be friendlier to customers. It’s best if you can ask for permission twice. First, try calling or emailing ahead of time, and then approach the manager on the premies personally upon arrival. Calling from the road before arriving is good. Emailing a day or two ahead of time is even better. There’s nothing quite like getting written permission ahead of time if you can. I’ve seen stories by people who got a “yes” over the phone, only to discover that the person they had talked to lacked the authority to actually give them that answer. This can be tricky, as you want to be nice and friendly, right? You’re in no place to make any form of demands. So don’t. But do ask for the name of the employee and ask them what their role is. Do it nicely – even apologize – and explain that you need to make sure that you’re actually talking to the right person. What comes to most people’s mind when the word camping is mentioned is a tent, fireplace and some makeshift toilet spot behind the trees. Stick to the word “parking”. After all, all you need is a place to park your RV and no one will know what you are doing on the inside. Basically, play nice and try to leave a good impression. This is how you can help these places welcome other RV’ers in the future as well. Stay for one night and if there’s an emergency that requires you to stay for longer or any other special circumstances – talk to the manager first. Otherwise, be on your way the following morning. Not afternoon. Don’t make them come over and ask you when you’re going to leave. 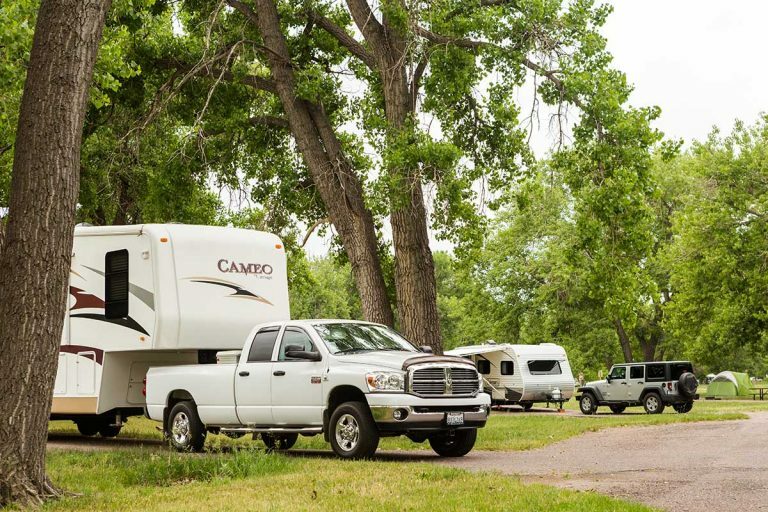 Remember, you’re there to park – not camp. Keep your parking signature low. Stay away from where store customers are going in and out. Don’t play loud music or even operate a loud generator. Keep your tow vehicle hitched if possible, and don’t extend your jacks or level the RV unless you have to. Keep the awning folded in. Minimize use of slideouts. If you must open one to use the bedroom, that’s ok, but don’t look like you’re about to stay there forever. Not sure about anything? Ask the management before you do anything that could have an adverse effect on their location. While finding a free overnight parking spot requires some planning and some effort, it is doable. It’s a form of boondocking – no hook-ups – so may not be ideal for everyone. 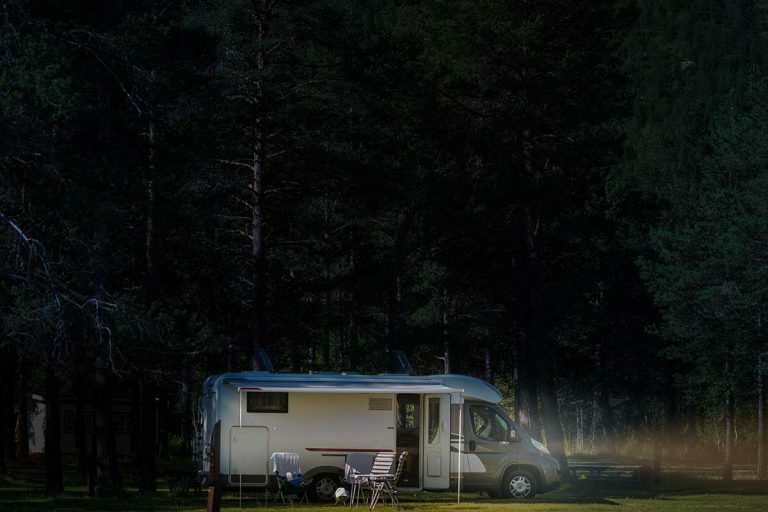 You won’t be able to get shore power (electric hook-ups), running city water or access to sewage, so if you’re planning a long-distance RV trip, don’t rely on free parking each and every night. However, done correctly, this can be a great way to reduce the cost of your trip. If you have any other tips, leave me a comment – I’d love to hear about your own experiences with parking overnight in an RV for free. Previous PostAre RV Campgrounds Safe? 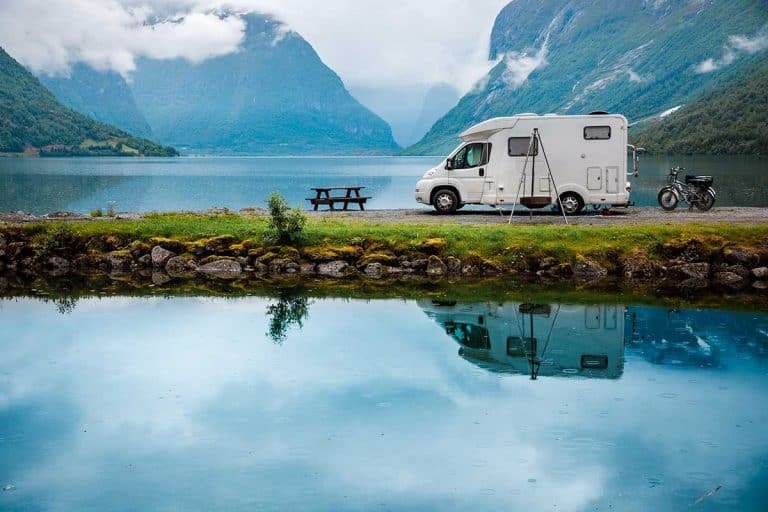 How Much Does It Cost to Replace Your RV Floor? You can park on BLM (Bureau of Land Management) land for free. These are camping areas. For example, 87% of the entire state of Arizona is BLM land where you can park and camp for free. There are lots of areas all over the country. Check out this one next to a lake in Nevada! Thanks for that additional information, Ed! Another place to add to your list are Cracker Barrel Restaurants. And once again you have to ask ahead of time but your changes are very good and they have very good food for a nominal charge.